Thanks ADS. The new version is up and running. The update went smoothly. The Material Parameters window seems more responsive, quicker. Well done! I just got a new updated build 10163. What enhancements it has? #10163 (aka 8.6.3.1) Has a correction for import of DXF/DWG files that contain references to certain image files. The interface is quite borked now, far worse than previous 8.6 builds and worse than any of the 8.5 builds I have used. The application window opens with bits of the interface over both screens with elements difficult to select as they go off screen. Pallets inside the palette dock do not respond correctly. I cannot, for example, select materials or the menu items in the material palette. However, the palette behaves correctly when dragged out of the palette dock. This behaviour is consistent with every palette when in the dock. FormZ's interface has been terrible for a very long time, every time I open the application the interface looks like it has been kicked across my desk. I've got an incredibly choppy/jerky viewport in win10 using GTX 1070? It's making work very difficult anyone else had similiar issues and been able to fix it? If not what is the best way to get back to version 8.5? I have to say i'm finding Form z getting worse with every update rather than better. Make sure you have the latest drivers from Nvidia installed. Reboot. If you're still having issues, try renaming your FormZ preferences folder to rebuild it. You must enable SHOW HIDDEN FILES. Make sure FormZ is closed before you do this. Wow, Justin. You have a bad *ss station lol. You mention you use 2 additional GTX 1070S for faster VRay renderings. My boss is thinking of buying an expensive rendering machine for Vray. I've tried rendering using a single video card GTX 1070, by the machine crashes. I suppose you need more than 1? If so how many would you recommend? Also, is it simply a matter of enabling GPU rendering under the rendering options? You should have no problems rendering with a single GTX 1070 and Hybrid mode as well. After enabling 'Use GPU', Make sure you do NOT check 'Interactive'. That interactive mode is meant for quick previews of rapid changes, but in reality it tends to crash and cause other problems resulting in a computer restart in my experience. A better way to Use GPU and have fast previews is to simply reduce the Render Output size in the Vray settings palette, and make your changes. Once you are happy with the changes, go back and change the Render Output size back to you final desired image size. More than a month later... I assume this issue is just affecting me. Additionally I tried with Aero off and the issue still persists. So again Docked Palettes are not working if I pull a palette out of the Tool Dock or Palette Dock then behaviour returns to normal. FormZ 8.6.3.1 is almost unusable like this. You should try resetting your preferences folder. Unfortunately, this does not fix the issue. It is a bug in this version's palettes implementation and needs to be fixed by Autodessys. The Window layout has been bad since v7 on both Windows and Mac, particularly with dual screens. I have absolutely none of these issues with v6.3.7 but obviously having upgraded to each version since I want to be using current versions not stuck using legacy ones. Since I cannot duplicate your problem, I have to assume something is wrong with your installation. Make sure you are not using a custom preference file under settings. That has been problematic. Also the custom workspaces have caused weird palette issues in the past. Make sure that your workspaces are NOT set to save on close. I would try reverting to only default settings and reset the workspace and delete the preferences folder as instructed earlier to get a clean default install. Many of us are able to use 2 and 3 screens with Formz without issues, once you avoid the custom workspaces, save on close, and the custom preference file. It's certainly unfortunate that we have to avoid these features, but I am hopeful they will all be resolved in version 9s new design. This particular problem is only affecting v8.6.3.1 not earlier versions. I have gone through the process of clearing out preferences etc. even though it is clearly not a preference issue. The previous builds had issues with scrolling when a tool was selected among others. While these issues do not affect everyone, I am sure they are not isolated to me or my system. For now, I will revert back to v8.5 and live without the clone functionality restored in v8.6. If I upgrade to v9 it will be for improved functionality, not in the hope that it will address bugs from the previous versions. Edit: Yes, custom workspaces, save on close, and custom preference files have been for quite some time on my avoid list too. Turning off text scaling has solved the issue. Not sure why this affected 8.6.3.1 and not 8.5.7 but I'm able to work again without palettes cluttering my second monitor. 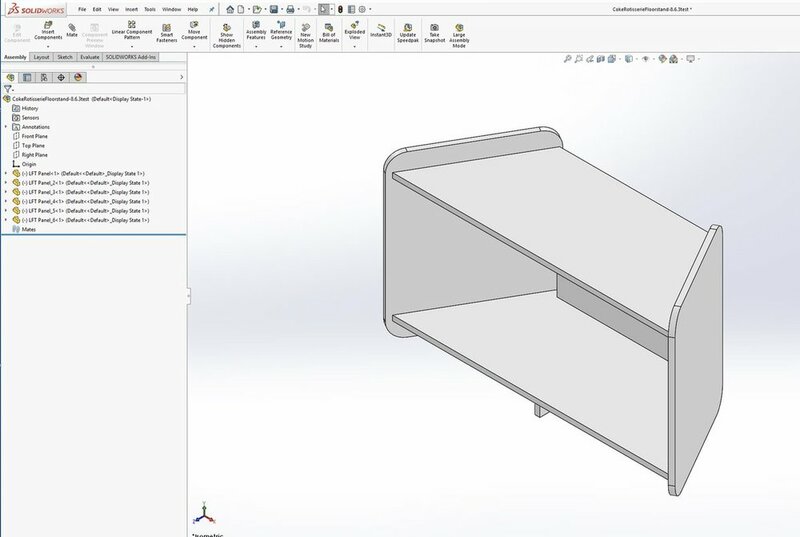 Object names are not retained when exporting STEP files from formZ into importing to Solidworks. This makes finding objects in complex models (in order to combine them into assemblies) very difficult. It looks like the first object name is being applied to all objects in the file. I tested 8.6 beta, and just downloaded 8.6 final. I typically use layers to organize my models. Then I use the LAB management tool to rename objects to match the layer names prior to exporting. 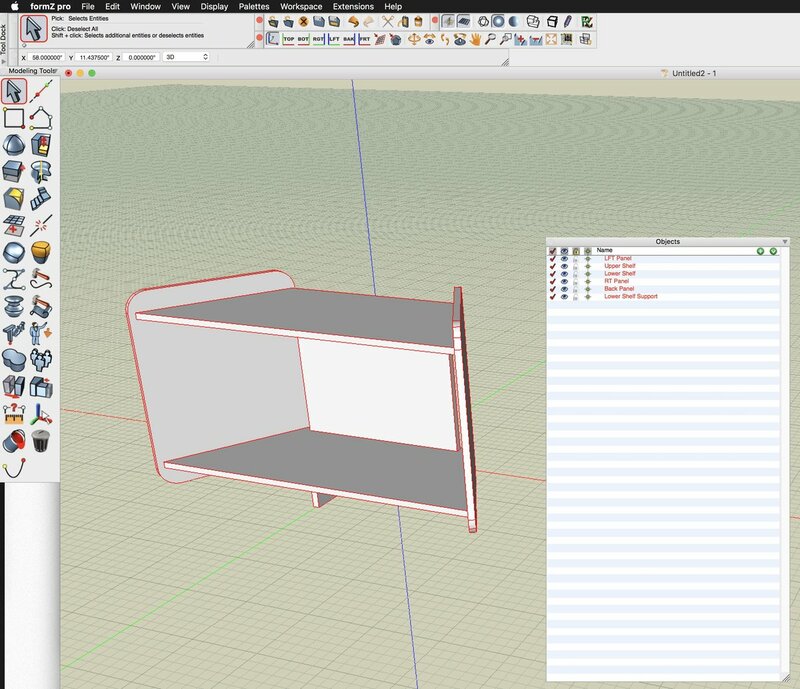 When importing a STEP file from formZ into Solidworks the layer names are not preserved properly. It appears that the first object name is just repeated for all objects. Hey ADS, thanks for the update to v8.6.5. Do you think you could post the list of changes? So far today the updated version is running fine, nice and smooth.. Here is the list of changes. Mostly stability improvements. V-Ray for form•Z v3.6.6 released? .....is this just a typo? ...the email sent refers to v8.6.6 but update is labeled 8.6.5? Current version of formZ v8.6.5. Sorry for any confusion caused by the the progression of version numbers! I can't find the link to download formZ 8.6.5. I had created a shortcut to your download page but I lost it. Help would be appreciated. or Select "Download Archive" from the "Techinical Support" Menu on the formZ website and choose the v8.6 page.